Tata Consultancy Services (TCS), a leading global IT services, consulting and business solutions organization today announced a Memorandum of Understanding (MoU) with The Shri Dharmasthala Manjunatheshwara Institute for Management Development (SDMIMD). As part of the MoU, SDMIMD will deploy and leverage TCS’ Academic Content Market Place Platform - Academic Hub https://learning.tcsionhub.in/hub/academic-hub to drive the institute’s digital transformation efforts. SDMIMD’s digitization efforts through TCS iON Academic Hub will aim to provide improved services to students & members allowing them easy access to the vast knowledge base of the institute. The MoU between TCS iON and SDMIMD will involve multiple areas of collaboration. TCS iON Academic Hub will enable SDMIMD to publish Institute’s Blended Learning Certification Program in Management. This program is a combination of online business management modules coupled with interactive sessions with faculty. This initiative will help provide easy access to certification courses of the institute to a larger section within the academic community. The exercise will combine the domain experience of SDMIMD with the functional capabilities of TCS iON Learning Platform. Members of the institute can also get an improved experience on their continuous professional development. In the first phase, a set of 5 highly relevant courses have been launched by SDMIMD and these are offered in a blended package involving pre and post class interaction and online learning in the interim. 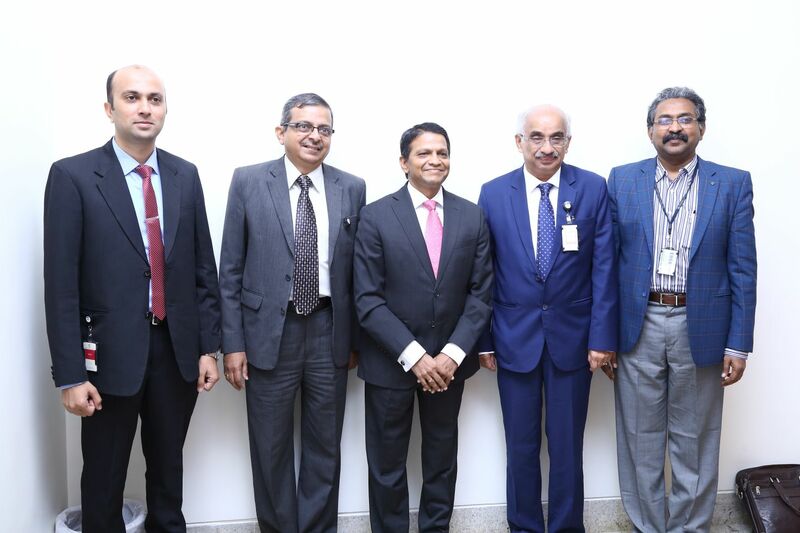 Dr. N R Parasuraman, Director, SDMIMD said, "We are very excited about the possibilities with the TCS iON Academic Hub. Online programs are gaining in popularity and TCS iON’s Academic Hub provides us a set of functionalities that help address the challenges for a successful adoption. The future ultimately lies in a blended platform such as the Academic Hub that enables physical classroom integrated with a digital class room. We are excited to collaborate with TCS particularly since it has lots of similarity with our own group. We belong to the Dharmasthala group known for its charitable work for the last 700 years. And TCS has been well known for its value-based management”. The TCS iON Academic Hub is a Content Market Place bringing professional institutions with rich content and learners together. The Hub offers multi modal learning content including courses, assessments, communities and events. It enables academicians to deliver instructor led courses using social learning tools and at the same time provides a unique opportunity to learn at their own pace. The TCS iON Academic Hub caters to learners across wide segments from K 12 to working professionals.